Jimmy Martens is a partner. Jimmy Martens, Attorney and CPA, is a partner with Martens, Todd, Leonard & Ahlrich, a Texas tax litigation law firm located in downtown Austin, Texas. Mr. Martens has tried tax cases through both the Texas Supreme Court and the U.S. Supreme Court. 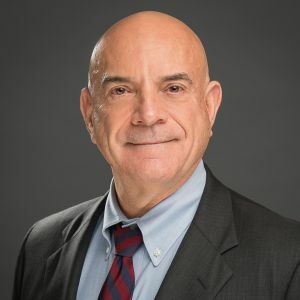 He limits his practice to challenging Texas franchise and sales tax assessments during audits, in administrative hearings, and in the state courts of Texas. He is board certified by the Texas Board of Legal Specialization in Tax Law. View a list of his reported cases here: texastaxlaw.com/texas-state-tax. He is a vice chair of the Tax Controversy Committee of the State Bar of Texas and a former chair of the Tax CLE Committee. Mr. Martens serves as the course instructor for the TSCPA’s statewide course on the Texas franchise (margin) tax and the Texas sales & use tax. He has taught Texas State Taxation and Tax Controversies and Litigation at the University of Texas School of Law. He writes and speaks frequently on a variety of tax subjects. He received his B.B.A. and J.D. degrees from the University of Texas at Austin, both with honors. He may be reached by e-mail at jmartens@textaxlaw.com and by phone at 512-542-9898.